With as much time that Laura Coleman spends on and in the water, you would never suspect her to be the biggest fan of great white sharks. 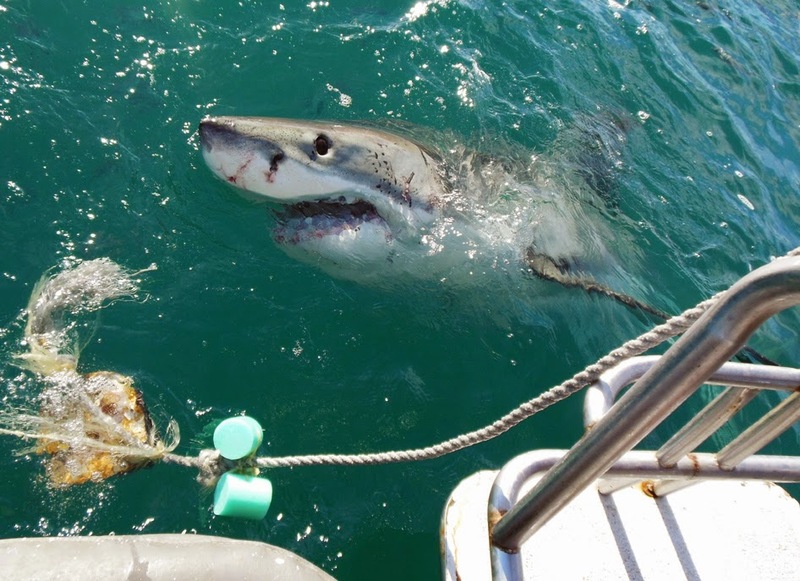 Last fall, Laura embarked on the journey of a lifetime to South Africa to study great white sharks. Laura first came to MBAC as a student at SDSU when she took a sailing class. One day she saw a job posting to teach kids at camp about all the things that she loved about the ocean as a Marine Science Counselor. She jumped at the opportunity and has since worked at MBAC as a Marine Science Counselor, a Sailing Instructor, and most recently has been the Lead Marine Science Instructor for The Watersports Camp. 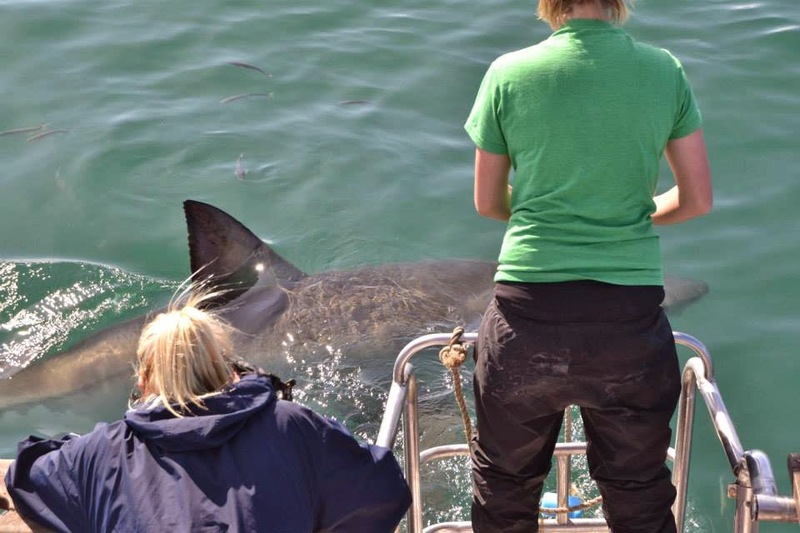 After last summer Laura was offered an internship position in South Africa where she was able to get face to face with her favorite creature--the great white shark. Laura and her team spent three months out at sea chumming the coast in search of great whites. Their goal was to spot a great white and snap a photo of it's dorsal fin which acts as a unique identifier similar to a human fingerprint. With that information, her group of fellow researchers is able to document which sharks return to the area and estimate the population of great whites. During the second half of her trip, Laura interned at the South African Shark Conservancy, where she caught sharks by hand! While these sharks were never larger than three feet, catching them by hand still brought with it a lot of excitement. Laura was bitten during one of her attempts to wrangle a shark and claims that, “It didn’t really hurt, it just felt like a pinch.” Fortunately the species she was dealing with did not have teeth, but it makes for a great story to share with marine science campers this upcoming summer. 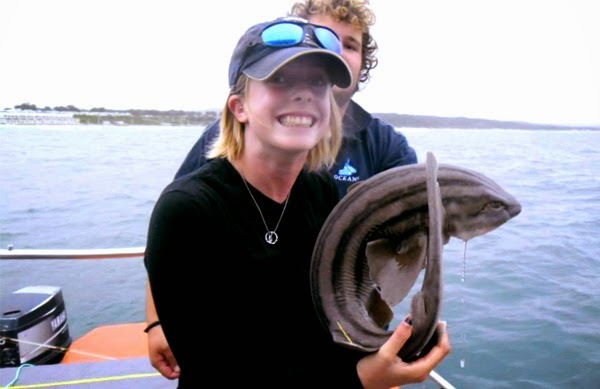 In addition to gaining great stories to share with campers about her adventures in South Africa, Laura's work will help in shark conservation efforts. Campers who want to hear her stories can sign up for the marine science camp, which is perfect for campers looking for an educational camp to learn about the importance of our ocean and marine habitats while having fun on, in and around the water. If your camper is excited to hear about all of Laura’s shark stories this summer, register for marine science at The Watersports Camp website today!